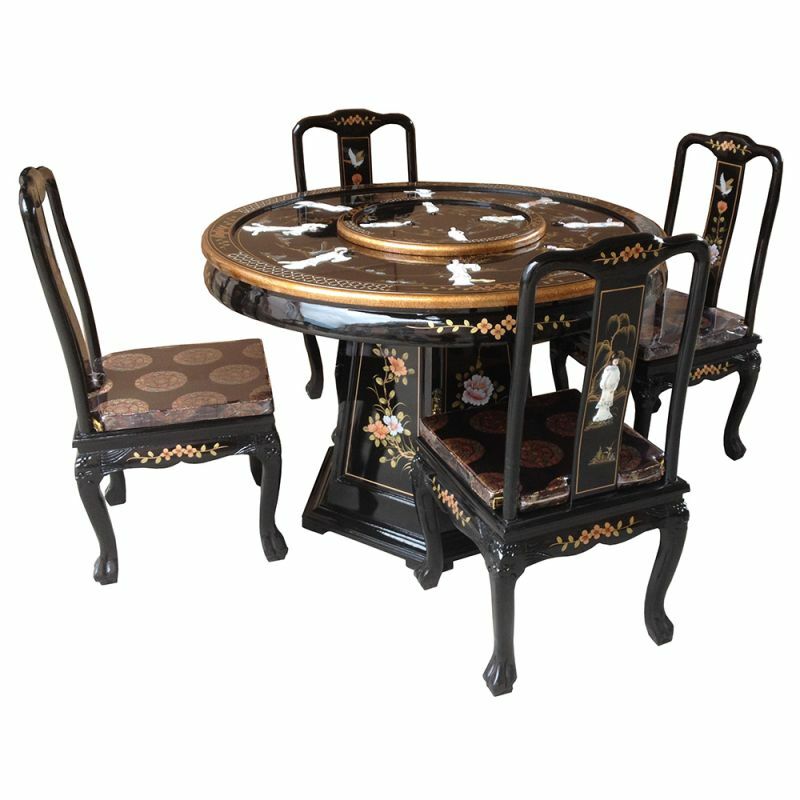 Dining room Table-lacquered chinese with turntable adapted. You can order the number of chairs at your convenience for the whole of asia. By buying this product you can collect up to 337 loyalty points. Your cart will total 337 points that can be converted into a voucher of 67,40 €. Dining room Table round lacquered chinese turntable.